Alright, folks, I'm going to be fearless. Here goes. A journal entry. From my actual, bound journal. The one Kendra and I got each other, accidentally, for Christmas. It's real. I am now not only friend, student, daughter, crazy woman extraordinare, but girlfriend too. What, GIRLFRIEND. !!? As in like, "hey, girlfriend, how you doin'?" "wassup girlfrien?" or other such uses solely connotating soul sistas? Girlllllfriend. The word doesn't fit right in my mouth. Can you believe it? Me and Jared Schultz. We're attached to each other, by fingers when we can, and by title when phone is all we can wrangle up. OH, gosh--I mean, a part of me thought it maybe possibly might be coming, but I was completely caught of guard. As of May 11, 2009, I have a boyfriend. Boyfriend, boyfriend, boyfriend. Hey Boyfriend: I like the things you do. I like the way you are. May 12, 2009, I was surprisingly apprehensive. No idea what to do with myself. What does Girlfriend do? I don't know her. I only know reader Brooke, silly passionate Brooke, singing Brooke. Girlfriend Brooke--she's new. I told mom I was scared. What if he changes his mind? We're both new at this. But May 13, 2009, I was just elated. That same cheek-aching, delirious feeling, like even breathing regular air I breathed on May 10th was sweetly delicious, because of this new thing we'd started--this magic we'd given full permission to. 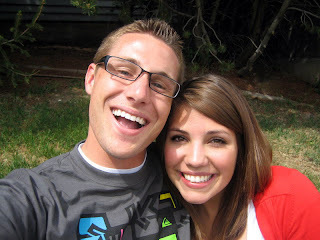 And on May 13, 2009, I went on the best date of my teen life (well, my whole life, really) with my Boyfriend. It was legit for me to hold his hand, be alone with him in a little booth. He was still allowed to be nervous; I still wondered if I looked alright. I threw a penny in the fountain with a particularly wonderful thought threaded to it, and I wondered if fountains had increased their effectiveness since I'd tried them last. Turns out they have. Turns out they're sometimes very, very effective. Turns out sometimes they turn out illicit amounts of cheek-aching grinning and silly, childish giggling. Giggling, giggling, I had to supress my stupid giggles with so much effort! "You're just so well-formed..." I mumbled to his shining eyes. "You're silly." He said back. I still have reservations. Hello, it's been a grand total of three days. But I am not scared today, May 15, 2009. I asked him, while we were soaking each other in, (I'm really good at ruining those picturesque moments) "Are you scared?" He thought. He always thinks before he answers questions I ask him, as if they always actually matter. "No. Scared, no. Nervous, in a good way." This is just so great. You are just so great. i love having my friends be that girl. because nothing feels better than having a cheek-achey friend.